Our INFINITI finance experts can help you secure the INFINITI lease or loan you desire. Once you’ve picked out the INFINITI SUV or sedan that you’d like to drive home, we’ll move into the approval process and talk with you about what financing rates you’re eligible for. 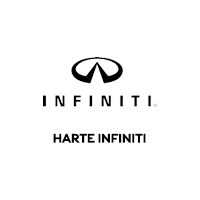 Whether you want an INFINITI lease or a loan, you’ll be well taken care of at Harte INFINITI. Unsure of whether an INFINITI lease or loan is best for you? At our INFINITI dealership near East Hartford, CT, we can go over the benefits of INFINITI leasing vs. financing. We’ll look at your entire situation and talk with you about your lifestyle. If your commute is short and you don’t want to be responsible for repairs, a lease may be best. If you’d like to own your vehicle for many years, then we’ll assist you with applying for an auto loan. Bring all your INFINITI financing questions to us!